It's been quite a whirlwind of wine and ice cream on Grape Collective. From pleading with Louisiana to free the wine ice cream to marvelling at Hillary Rodham Clinton's serendipitous side-by-side pairing of New York State ice cream and wine, it's been a triumphant time for churned frozen dairy and fermented grapes. While we welcome more news of these two getting together, we never thought Viagra would be involved. 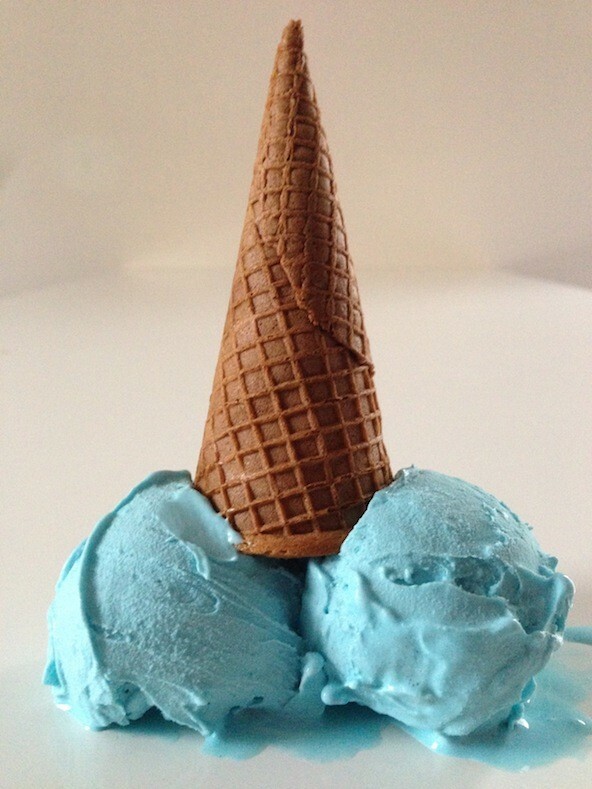 "The Edible Inventor" Charlie Harry Francis reported on the blog for his "Lick Me I'm Delicious" business, that an "A-list" celebrity client asked him to create an ice cream with both Champagne and Viagra. Though he had to sign a confidentiality agreement regarding the identity of the celebrity, Francis was able to reveal this about the ice cream: each scoop was "dosed with 25mgs of Viagra and is flavoured with bubbly champagne."